This weekend I was asked to talk at an inspiring event organised by Migrant Writers of Singapore and the National University of Singapore (NUS) with the theme: Open Borders, Stories have no boundaries. My friend and domestic worker writer Rea Maac, also a speaker at the event, told me they asked me to speak because I, as she said ‘opened borders for the domestic workers'. A lovely compliment. Rea's comment made me reflect on the different ways one can use stories to open boundaries. As a migrant and a writer myself, I realise the importance of this. After all, there are many borders - physical as wel as invisible - that we encounter when we migrate to a new country. The question I started pondering about is: how hard is it to really connect to Singapore, to become a part of it? When I first moved here six years ago I found it hard to make Singaporean friends. I did not work at the time, and as a mother the easiest way to make friends is at your children’s school. But at our international school there were no Singaporean kids; MOE (the Ministry of Education), does not allow them to go there. Likewise, because we do not have permanent resident (PR) status, it is almost impossible for my children to get a place at a local school. The result is that my children have friends from all over the world, but few from Singapore. Many so-called ‘expats’ complain about how they feel like they live in a ‘bubble’. Of course we are aware this is a privileged bubble; the minimum salary to be eligible for the coveted Singapore EP (employment pass) is high. But a luxury bubble is still a bubble. It can feel uncomfortable. Then, let’s look at work pass (WP) holders, what is life like for them? WP holders are low wage migrants that come to work in Singapore. Examples are domestic workers, that live in with their employers. Or construction workers, who mostly live in dormitories. The families of this type of migrants - in contrary to those of EP holders - have to stay behind in their home countries; even it they would be allowed to come, a WP salary is not sufficient to support a family here. I would like to say that we migrants are all the same, but if I did, I would deny the truth: our lives are very different. Because of the nature of their work and living arrangements, as well as social stigma, it is even more difficult for WP holders to make Singaporean friends. Thankfully, now I have lived here over six years, I have made a number of lovely friends, Singaporeans and all sorts of migrants alike. But this took time and effort. Singapore is a multicultural melting pot, but fact is, when it comes to migrants it can still be quite segregated. So how do we open those borders with stories? For many years I conducted workshops through local charity HOME with domestic workers. Creative writing workshops and also a ‘dreams class’ to empower them. In that dreams class we played a game where we would brainstorm about what we would do if we won the lottery. Sorting our many ideas – both theirs and mine- that we would jot on post-it notes, taught me one thing very clearly: our dreams are very much the same. Buy a house in our home country. Provide a good education for our children. Study. Travel and see the world. So even when our lives might be different, the fact that we share the same hopes and dreams is what binds us. So when we share stories about migrants, particularly low wage migrants like work pass holders, in Singapore, do we focus on our differences, or on the similarities? Talking about migrant workers’ rights we often talk about the injustices they face. These stories strongly focus on the differences, on the unfairness in the treatment some migrants get. Domestic workers that get no day off, get their handphones taken away, suffer verbal or physical abuse. Construction workers that don’t get paid or are exploited. It is of course important to raise awareness of these issues. But the danger in these stories is that they often portray migrants as victims, as weak people that need protection. It is important we share other types of stories too. When we talk about the similarities between different migrants and Singaporeans, about hopes and dreams, love and sorrow, we show that we are all the same - deep down. We are all humans. Stories like that can help create a shift in way Singaporeans look at migrants. As humans, they deserve to be treated humanely. So when I work with domestic worker writers I don’t want to hear only about the difficulties they faced here. I also want to hear about the love they have for their families, the things they enjoy to do in their spare time, the plans they make for their futures. Most particularly, I want to hear about their dreams. Many of the stories I collect get shared on the MyVoice blog, which I started in 2014 as a platform to give a voice to domestic workers in Singapore. Earlier this year HOME published the anthology ‘Our Homes, Our Stories,’ that I edited, which contains 28 real life stories written by domestic workers in Singapore. All the strong and amazing women I met while working with domestic workers in Singapore inspired my debut novel that was published by Monsoon Books this summer. To reach a large audience I wrapped up the many of the plights of domestic workers I encountered over the years in an exciting plot. 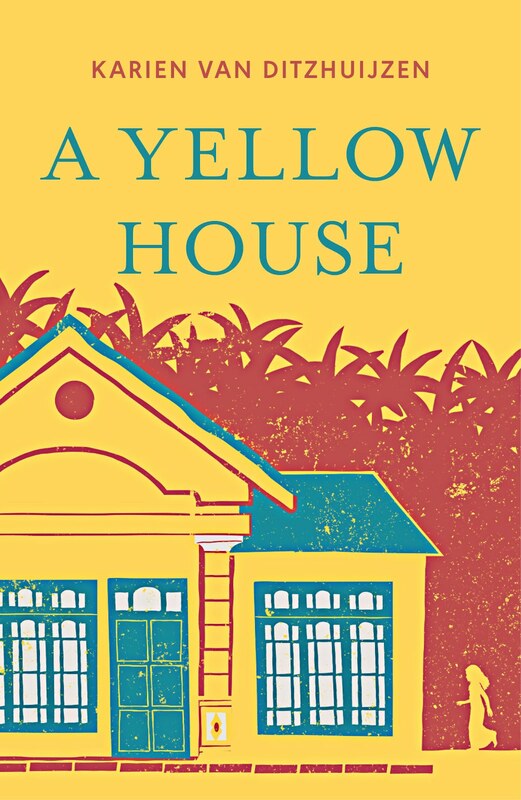 A Yellow House is fiction, inspired by real events. By real people.